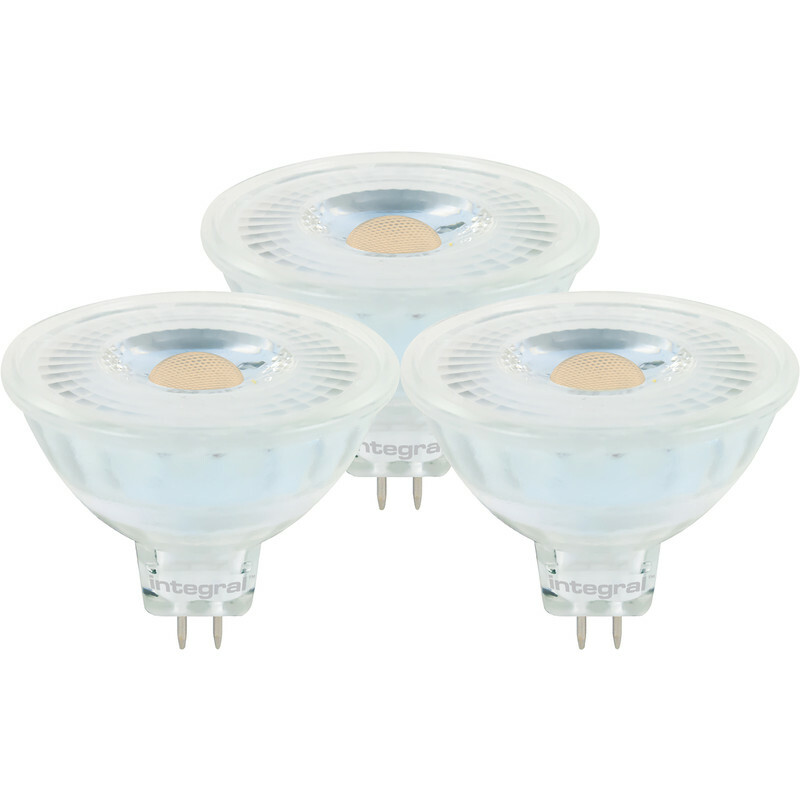 Integral LED 12V Glass MR16 GU5.3 Lamp 5W Warm White 345lm (3 Pack) is rated 5.0 out of 5 by 5. Rated 5 out of 5 by Moormeister from Works with existing transformers Needed to replace some halogen bulbs and LED is the way to go. Luckily they worked with the existing transformers, you can get flickering but didn't experience it. Rated 5 out of 5 by DavidE from Very good light I bought two of these 3-packs as a good-value way to replace a set of five 20W halogen lamps, with one extra to spare. They work quite happily off a simple wire-wound transformer and produce a lot more light than the halogens, with a good spread and nice warm white colour. I am very pleased with them. Rated 5 out of 5 by d146 from A good fit These LED lamps replaced three MR16 35 amp Halogen lamps in ceiling mounted bathroom extract fan inlets. They worked with the original transformers which was a pleasant surprise as previous LED purchases were too long to fit snugly and continually flashed.